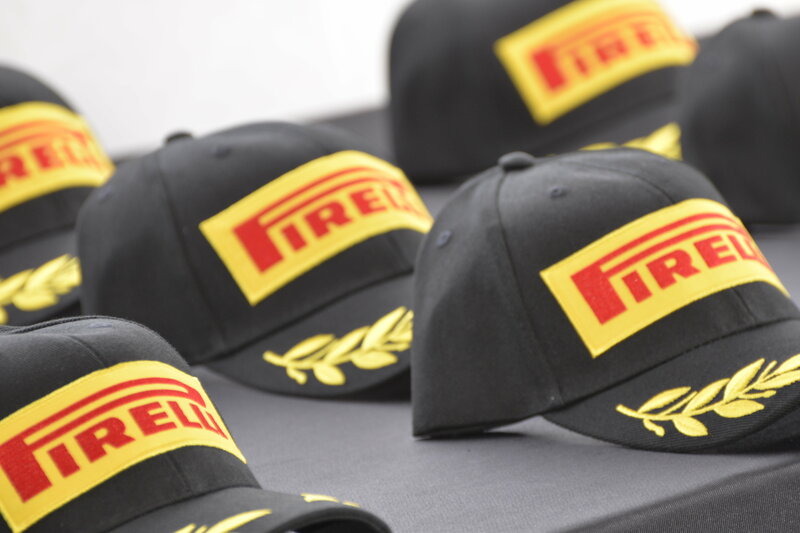 Willows, Calif. (15 April 2017) – A young charger drove like a wily veteran to take a victory in the opening round of the 2017 Pirelli GT3 Cup Trophy USA championship on Saturday at Thunderhill Raceway Park. 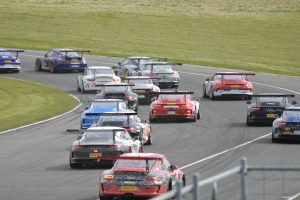 Rookie runner Max Root scored a victory in his first-ever series race start for his GT Teknik squad. The race is the first round of the double-header event weekend at the three-mile northern California circuit, and ran under green flag conditions from start to finish as the 31-car field staged a fast and clean race to kick off the season. Russell Ward led the field to the green flag and held the lead comfortably for nine laps before Root tracked him down and eventually made a move in traffic to take the point and lead the final laps to the checkered flag. Root crossed the finish line ahead of former two-time series champion Loren Beggs, who scored a podium with the No. 08 911 Design Porsche GT3 Cup entry in his return to the series. Rounding out the Diamond podium was BR Racing’s Jesse Menczer who started from the back of the pack but charged through the field before making a stirring last-lap pass of Russell Ward to score third place at the finish in his Disktech-liveried machine. 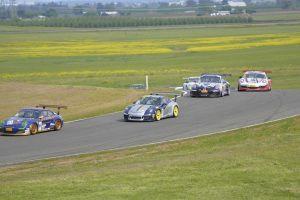 Competition Motorsports continued to show strength in Silver Class (Porsche Cayman GT4 machines) competition, as Steve Goldman returned to his winning ways with a Masters Class Victory and his teammate Sean McAllister went unchallenged at the lead through 14 laps to claim his Silver Class victory over Jeff Kearl. Ray Shahi started on top of the Platinum (Porsche 911 997.2 version) class, and came home with the same advantage as the No. 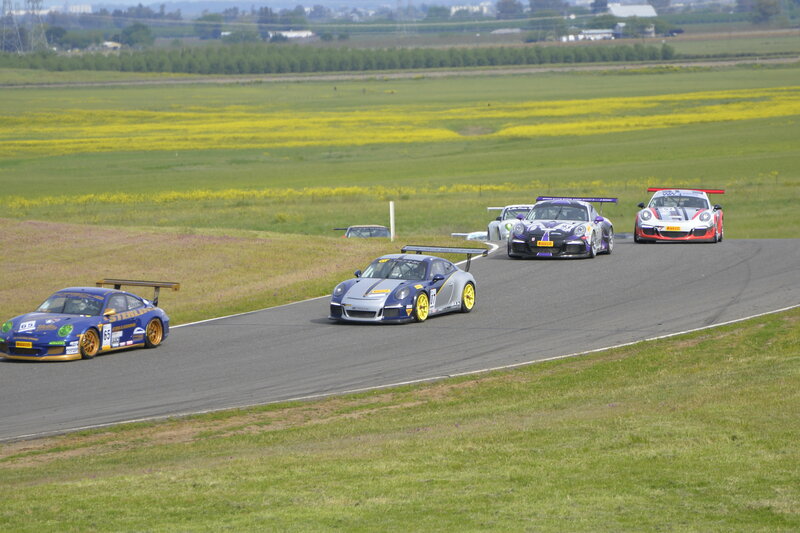 65 Sterling Collision 911 earned another class victory for his TruSpeed Autosport squad. Shahi has a deep reservoir of experience, and picked his battles on Saturday to come home with the class victory. Also adding to the trophy count at TruSpeed was Tom Haacker, who scored a Diamond Masters victory in the No. 45 Mothers machine, making his first start as a Masters Class entrant. The opening race day was a positive first step forward for the 2017 season, as the Competent Motorsport-managed program continues to grow. 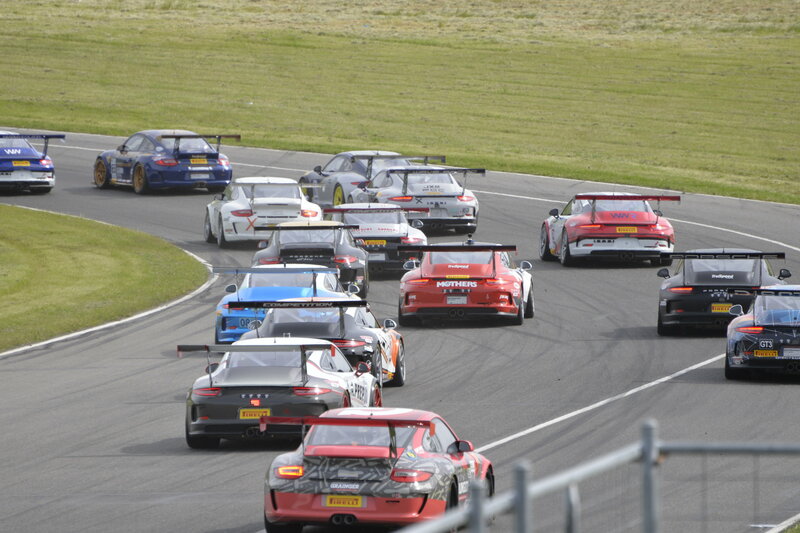 With a larger staff and some key new appointments in the off-season including Steven Costello as Series Director and Randy Buck as Race Director, the 11th season of competition for the all-Porsche category promises to continue to enjoy positive momentum. The second race of the weekend will be held on Sunday, April 16. The weather could have some variables in store as the conditions could be very different for round two. This entry was posted in News on April 15, 2017 by admin.